How to be an effective medic! 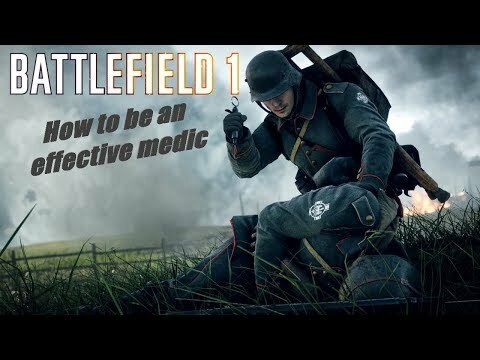 Here’s my effort at making a video how to be an effective medic. I posted this in the PC only section but I realise it applies for both console and PC. Any feedback is greatly appreciated this is my first attempt so a little nervous. Subs and likes are always welcome! I think the title would be more informative if it said something like Showcasing various Medic weapons and loadouts-- or something like that. You do touch on a few other things like what makes a quality revive, as well as a controversial topic such as pouch vs. crate which probably deserves it's own segment. Your intro graphic was very cool and looks like it took quite a bit of effort. Ok, I gave you an upvote for using the word 'muller'. Not heard that in years lol. Seriously though, any video that aims to improve how people play the medic class can only be a good thing. My only criticism is that I feel you oversimplified the choice between bandages and med crate. There are some situations ( like defending on operations) where the crate is more beneficial than bandages as it allows multiple teammates to be healed at the same time. Great video overall though. 5:12 somebody just came to a climax?